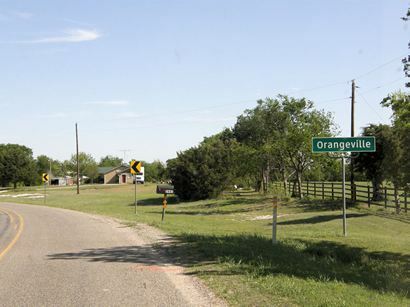 One of the earliest communitys in Fannin County, Orangeville dates from 1836 when it was founded by Daniel Dugan. Orangeville's big year came twenty years later when it was granted a post office. Shortly before 1860, Orangevilole reported a population of 150 residents served by 12 businesses. In the 1870s, Orangeville had essential businesses for permanence, but it was still growing. It reached its peak (175) in the 1890s. Although it had a railroad connection (the St. Louis Railroad), the community was just too close to Bonham for businesses to compete with those in the county seat. 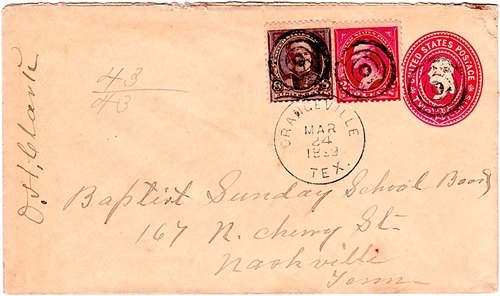 The population declined and the post office was discontinued in 1904. The population fell to just 25 people in the 1930s - about the same estimate given in 1990.